Some people refer to the shaggy-haired, robust wolverine - a member of the weasel family - as 'the glutton', since it will devour almost any kind of edible substance. 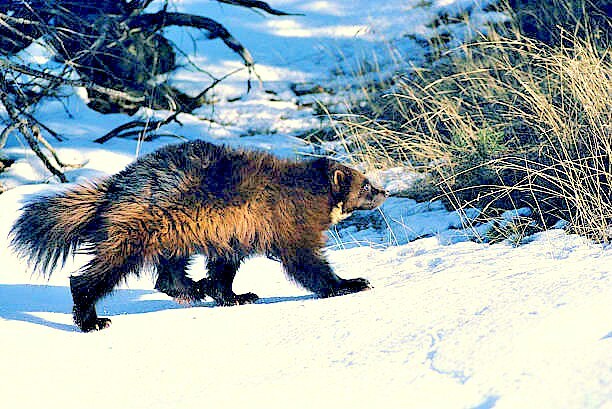 During summer, the wolverine eats plants, carrion left behind by other carnivores, birds and small mammals such as mice and rats. In winter, however, the reduction in vegetation, coupled with the relative scarcity of small mammals, forces it to attack much larger prey, such as reindeer. The wolverine sinks its powerful claws into the reindeer's back, holding on until its prey stumbles to the ground in exhaustion.